Favorite characters and series return for the summer season on NPT, including the much-anticipated Prime Suspect: Tennison on Masterpiece and Grantchester on Masterpiece. In addition to mysteries and Sunday night dramas, there’s mystery and drama on The Great British Baking Show, back for a fourth season. Prime Suspect: Tennison, the three-part prequel to the popular PBS Mystery series starring Helen Mirren, premieres Sunday, June 25, at 9 p.m. This new series retains the dark feel of the original with a nod to the gritty disillusionment of 1970s London as it chronicles Jane’s experience as a young policewoman coping with blatant sexism at work while rebelling against her family’s expectations. 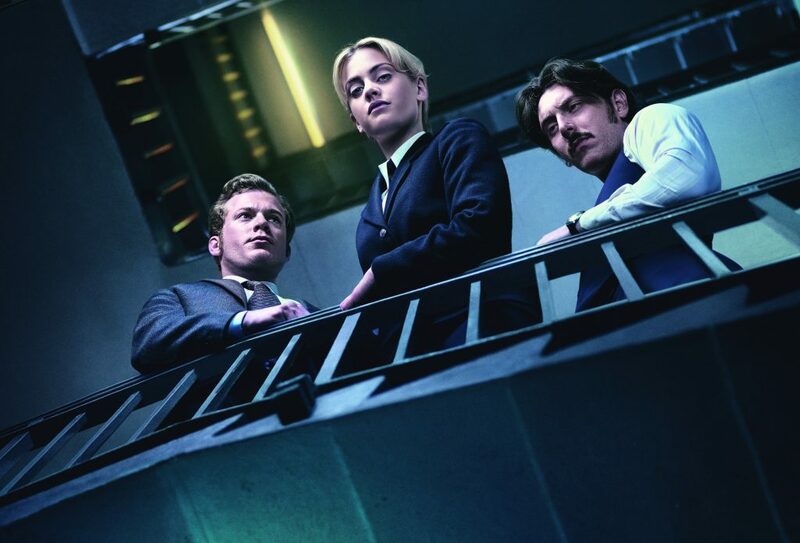 Stefani Martini stars as the determined young copper and Alun Armstrong portrays a criminal kingpin in a story based on a book by Prime Suspect originator Lynda La Plante. Grantchester on Masterpiece airs Sundays at 8 p.m. through July 30. Red-haired, jazz-loving vicar Sidney Chambers (James Norton) and world-wise Inspector Geordie Keating (Robson Green) continue their crime-solving bromance in the third season. Click here to get up to speed on the storyline. The previous two seasons are also available for streaming on NPT Passport. My Mother and Other Strangers on Masterpiece airs Sundays at 7 p.m. through July 16. Though a drama about the interaction of a large military force and a small World War II home front community may seem well-trodden premise, this series has a twist as it is set in Northern Ireland. At the center of the story is Englishwoman Rose Coyne (Hattie Morahan), who is raising two daughters and a son with her Northern Irish husband. Her life is upended by the war and the arrival of a U.S. Army Air Force base and its 4,000 serving men and women. Fans of Downton Abbey will want to give Australian drama A Place to Call Home a try. The series premieres on NPT Saturdays at 8 and 9:15 p.m. beginning June 24 and revolves around Sarah Adams (Marta Dusseldorp), a nurse who returns to her native Australia full of secrets from her wartime experiences. 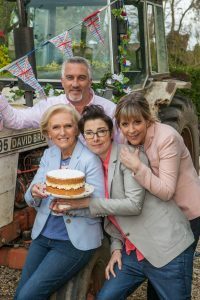 Cooking competition shows are all over the menu and the television schedule, but none come close to the class and panache of The Great British Baking Show. Maybe it’s the splendid spectrum of British accents, Mary Berry’s impeccable glamour, and the hosts’ groan-inducing puns that make the show so compelling. This season is certainly no mere confection, the challenges (30 total) are difficult, and deflated soufflés and egos are sure to follow. Season 4 airs Fridays at 8 p.m. through Aug. 4; Masterclass episodes will air some weeks (check our programming schedule for details). If you crave more, stream the previous three previous seasons, the masterclasses, and all of Season 4 on your favorite devices via NPT Passport. This entry was posted on June 23, 2017 at 3:43 pm. You can follow any responses to this entry through the RSS 2.0 feed. You can leave a response, or trackback from your own site. 2 Responses to "Summer Series on NPT Include Mysteries and ‘The Great British Baking Show’"
How can I see earlier (1, 2 & 3) episodes of The Tunnel, I missed them when they were shown? Glad you’re enjoying The Tunnel. Earlier episodes, including Season 1, are available for streaming via NPT Passport at http://video.wnpt.org/show/tunnel/.